The age old struggle between skate shoes and grip tape may never be completely resolved. We all know skateboarding is rough on shoes. Constantly sliding across grip tape can wear down almost any material over a period of time. Whether your shoes are made of canvas or some type of high abrasion plastic, eventually the grip tape from your board will wither away the materials of your shoe until those nasty neglected toes of yours rear their ugly heads. In my many years of skateboarding, I have noticed a trend. More times than not, the shoes that skate the best do not last very long while the shoes that do last long don’t always skate that well. To me this has something to do with board feel and how well you are connected to the surface of your board. Typically, the more board feel a shoe has, the thinner its materials are. The older I get, the more I realize how expensive and costly skating can be. The biggest budget eaters are shoes, which led me to put more emphasis on making my shoes last longer. Here are a few tips I learned to keep the shoes that skate the best in commission for longer. One of the most effective ways to prevent major wear issues on your shoes is to attack the problem before it starts. A preemptive strike can ensure the longevity of those shoes well beyond their normal life expectancy. All you need for this one is a bottle of super glue. Take that bottle of super glue and apply it to the stitching around the flick and Ollie regions of your shoe and maybe even around the collar of the shoe if you’re a heelflipper. By this point in your skateboarding life you are probably aware of what areas you tend to tear or rip so pay attention to those areas the most. This method will keep the shoe intact in its original form the longest. WARNING: DO NOT use the super glue for anything other than the stitching of your shoe because when dried the super glue can cause you to lose grip in over-applied areas. Is Nyjah Huston apart of the illuminati?! Find out here. Another major annoyance with the not-so-slow demise of your skate shoes is the lace ripping factor. 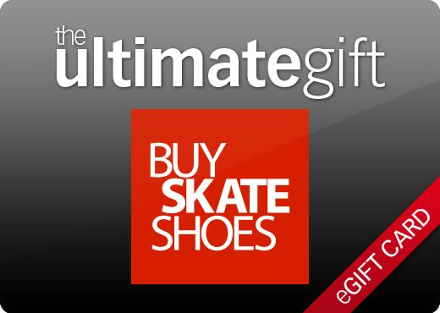 Most skate shoes are designed to fit your foot with the idea of having your shoe laces tied. Of course, our old friend Mr. Griptape doesn’t get along well with shoe laces. Whether you are in the middle of trying to film the last trick for your fifteenth sponsor-me video or cruising down the street to grab some beer, a ripped lace in the right spot can affect you negatively and cause your shoe to feel a little loose and odd. Instead of having to re-route your shoe laces through different lace loops and knot combinations, add a thin layer of shoe-goo across them to keep them in place and safe from that deviant little teddy bear cut out or sweet rebellious stenciled grip tape. The major disclaimer attached to this method of skate shoe protection is that once you add the shoe-goo to the laces, you will lose the ability to tighten or loosen them. The next method is by far the most common of skate shoe protection, but with a minor twist. Once you do rip or tear a hole in those grippy board feeling machines, you’re going to want to patch that hole with some Shoe GOO. The first step in this process is to find something to cover the hole from the inside of the shoe. You can use almost anything to temporary cover the hole in preparation for the Shoe GOO. The best type of hole cover would be a piece of suede and/or canvas from another shoe, but we aren’t always fortunate enough to have spare pieces of suede laying around. The easiest thing to find on a skate session would probably be a sticker. Make sure you cover the hole from the inside of the shoe, and apply only the amount of Shoe GOO needed to cover the affected area. The best tool to use to smooth out the shoe-goo and not create any bumps or runaway goo? An ice cube. The ice cube will not only smooth out the Shoe GOO into an almost flawless patch, but it will also accelerate the drying period of the newly added Shoe GOO. Use these methods to keep your favorite shoes skating longer. The super glue method is my personal favorite because it affects the integrity of the shoe the least. These efforts can help you save time and money for more important things, like buying a new board or paying off that trespassing ticket you got for skating the local school yard. If all three are employed together, you may have a skate shoe that will last much longer than you ever thought it would.